“There’s no-one better placed than Angelo to be our Project Manager on this build,” says Victoria Construction General Manager, Doug Smith. “He’s passionate, full of energy and an incredible stickler for detail – which is a great asset when you’re a Project Manager,” adds Doug. 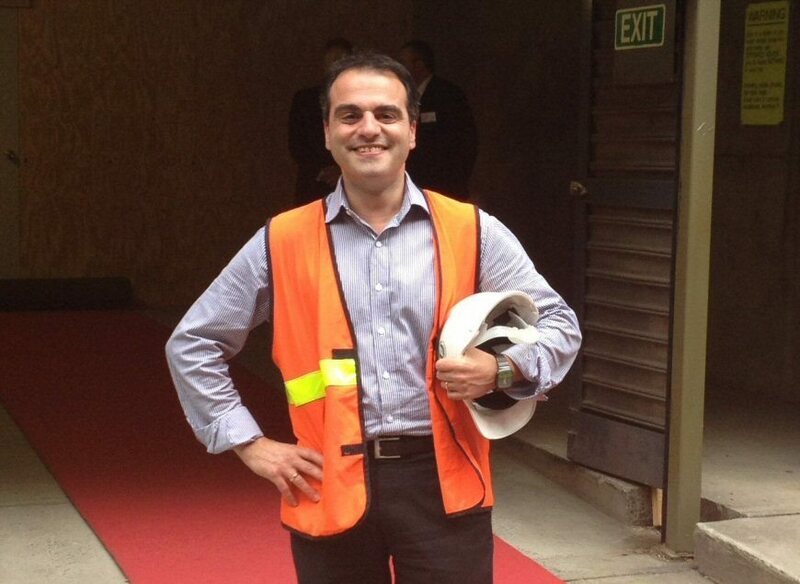 Angelo recently attended the official “breaking the ground” ceremony at 567 Collins Street and walked the red carpet along with Melbourne’s Lord Mayor, Robert Doyle. “Likeable and loyal. Practical and pragmatic. Angelo’s an experienced problem solver that brings a sense of fun to his work too. I’m confident he’ll help the team deliver a great outcome at this significant project for Leighton Contractors,” he adds.